Soon the torch will be passed to a new generation. Having saved the Federation one more time in Star Trek VI: The Undiscovered Country®, Capt. James T. Kirk and the crew of the U.S.S. Enterprise have finally gone their separate ways. 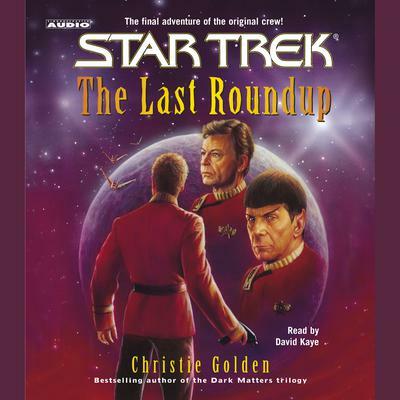 Spock, McCoy, Sulu, and the others are spread out across the galaxy, pursuing their individual destinies -- until an interstellar crisis touches all their lives. Bored with retirement and ill-suited to teaching at Starfleet Academy, Kirk jumps at the chance to help his nephews colonize an uninhabited planet in a distant corner of the Alpha Quadrant. He even manages to persuade Scotty and Chekhov to come along for the ride. But Kirk soon discovers that the hardy human colonists are not alone on the planet they call Sanctuary. An alien race, of whom little is known, has also establish an outpost on Sanctuary for its own mysterious reasons. Suspicious, Kirk investigates, only to discover a terrifying threat that strikes at the security of the entire Federation. Light-years from Strafleet Command, without a ship or a crew to call his own, Kirk thinks he faces the menace alone. yet the bonds of loyalty transcend even the awesome distances of space, bringing together a legendary crew for one final, fantastic adventure.